Pictured are members of the New Waterford Friday Knights following their 10-2 victory in the division O championship game at the 23rd annual Molson Canadian/Coors Light Vince Ryan Memorial Hockey Tournament at the New Waterford & District Community Centre on Sunday afternoon. 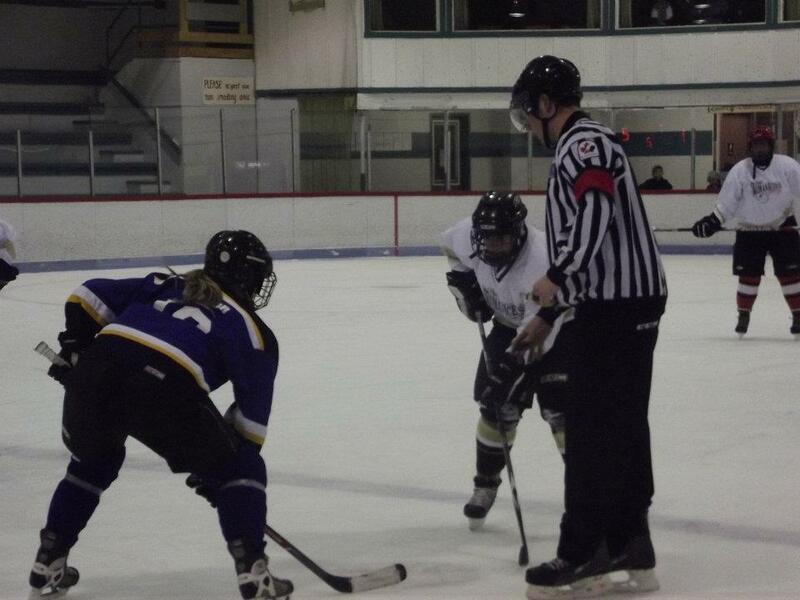 The team posted a record of 2-1 in round robin play before playing in the championship game. Photo taken by Jeremy Fraser. Los Angeles Chill forward Amanda Elliott and Womanicers forward Gerri Carabin along with referee Angus Rankin are seen as they get set for a face-off during the 23rd annual Molson Canadian/Coors Light Vince Ryan Memorial Hockey Tournament on Saturday afternoon at the New Waterford & District Community Centre. 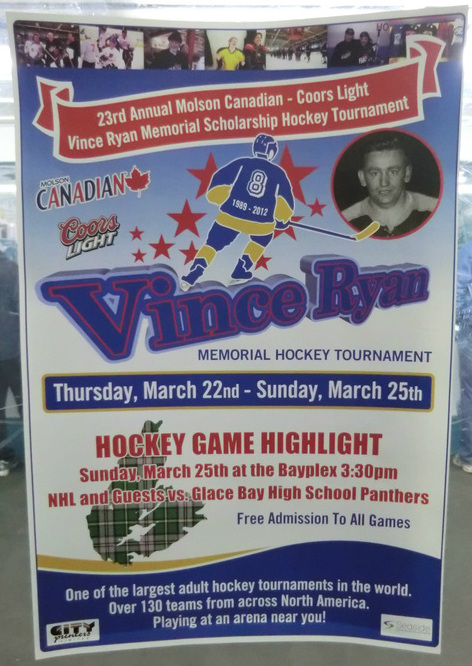 This is the fifth year that the Los Angeles Chill have made the long trip to Cape Breton for the Vince Ryan Tournament. The Womanicers won the game 2-1. Photo taken by Jeremy Fraser. Pictured above from left to right Megan Steiger and Jeff Donovan. 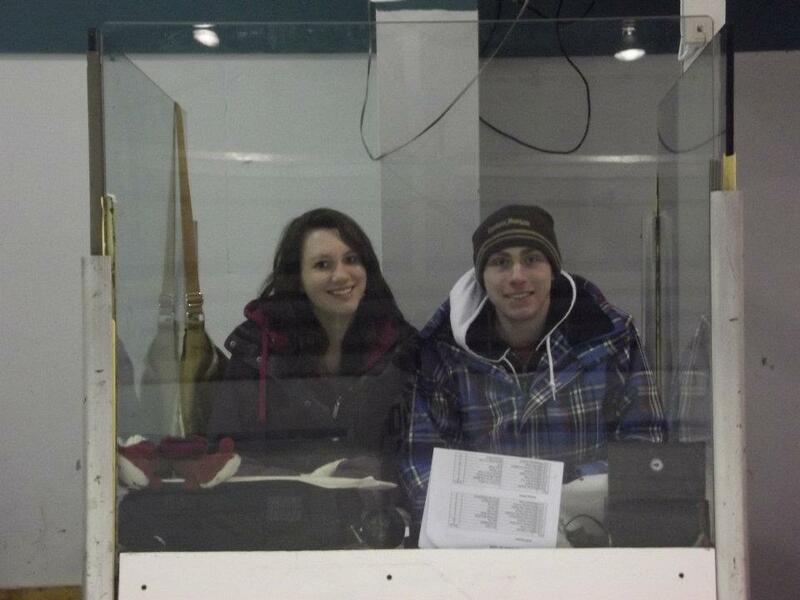 Megan and Jeff were busy this past weekend doing the clock for all 23 games of the 23rd annual Molson Canadian/Coors Light Vince Ryan Memorial Hockey Tournament at the New Waterford & District Community Centre. 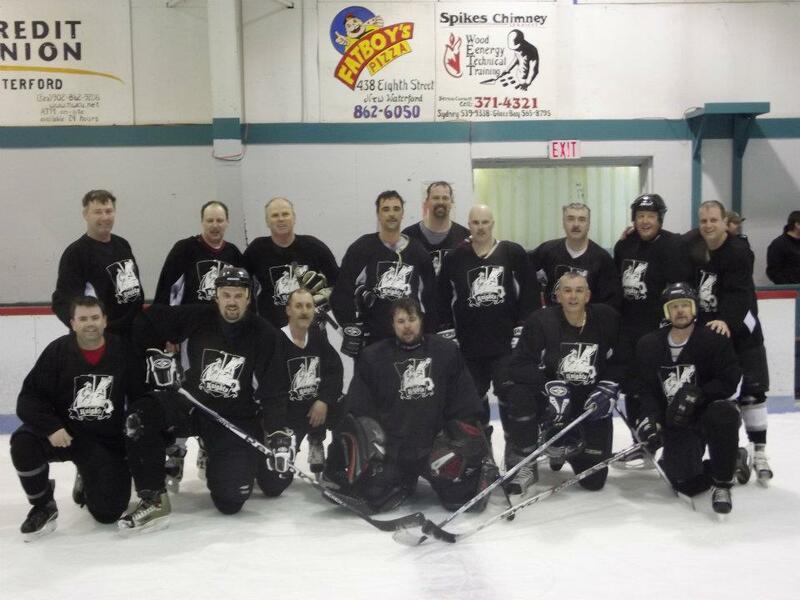 A total of 134 adult hockey teams from all over Canada and parts of the United States attended the tournament which wrapped up in the Cape Breton Regional Municipality on Sunday.